Car park surface is white chalk gravel - This can sometimes leave dust / wet chalk on the vehicle. On return vehicles will be lined up close to reception with keys inside ready for a quick exit. The wait time for return transfers can sometimes be longer depending on traffic congestion. £20 surcharge for vans - This is a one-off charge payable to the car park on arrival. Some customers have found this car park difficult to find - Check direction instructions carefully prior to travel. On arrival, drive into the car park where you will be greeted by a member of staff who will help unload and park your car. You will be required to leave your keys. 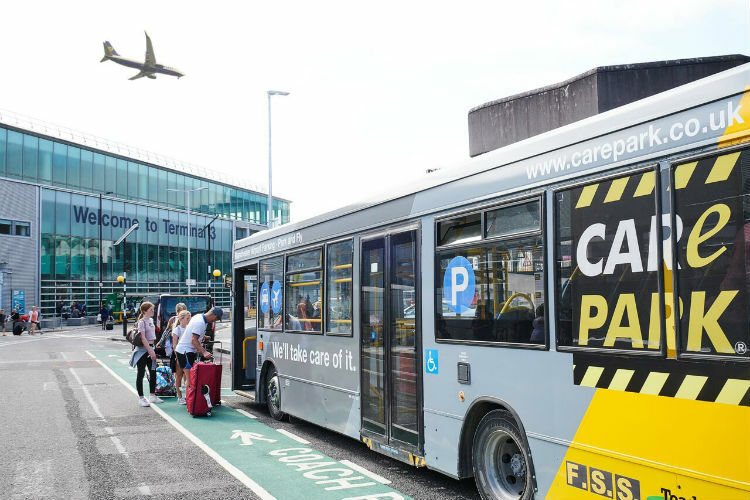 You will then be shown to one of the mini coaches which will take you to your departure terminal. 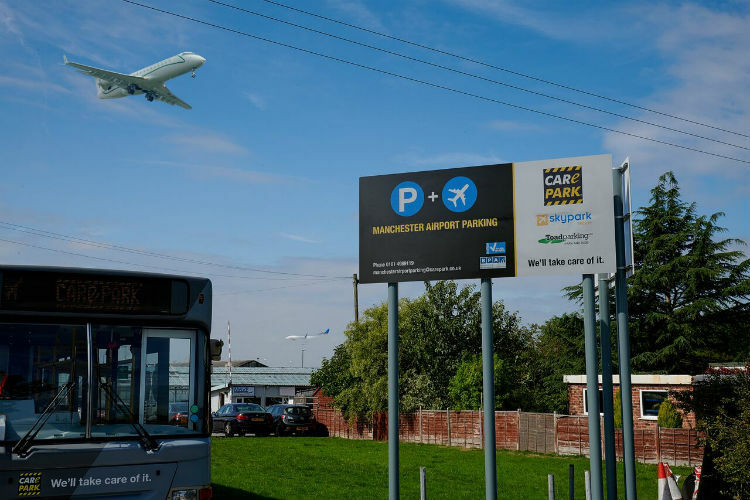 Toad Park & Ride have security clearance by Manchester International Airport Authority and operate under their guidelines, using the designated pick-up and drop-off areas next to the terminal entrances. Please be aware that this car park does not have disabled facilities. The landing service runs on demand. Please collect your luggage and clear customs before calling the office on the number on your confirmation. Instructions will be given on where we will collect you and your car will be ready and waiting. The car park is surrounded by a high security fence and has regular patrols using guard dogs. There are also security barriers and CCTV. The car park has been awarded the Park Mark award. Is the Toad car park easy to find? Signage for the entrance could be better as the car park is within Boundary Farm. Look out for a yellow sign with a green header that says 'Boundary Farm'. It is also the same entrance for M.S & J Motors so keep an eye out for that sign too. If travelling south along Styal road, the turning is the next right very soon after the entrance for JetParks 3. Is the Toad car park value for money? 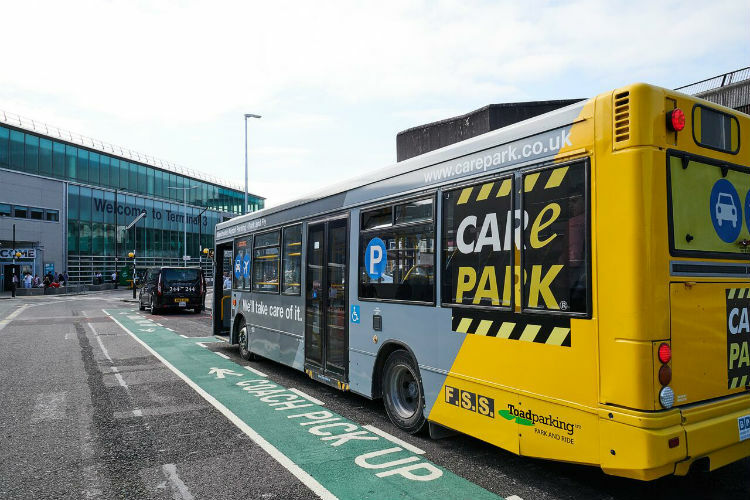 The Toad car park isn't the most sophisticated or modern of car parks and runs an older transfer vehicle than other sites. However, the staff are exceptionally helpful and on hand should you need require any assistance.